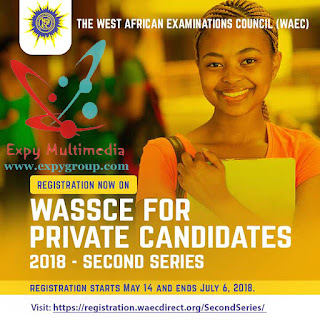 The West African Examinations Council (WAEC) has announced that it would soon conduct the second series of the West African Senior School certificate Examination (WASSCE) for private candidates. This was made known in a statement signed by the spokesperson of the council, Demianus Ojijeogu, on Sunday. 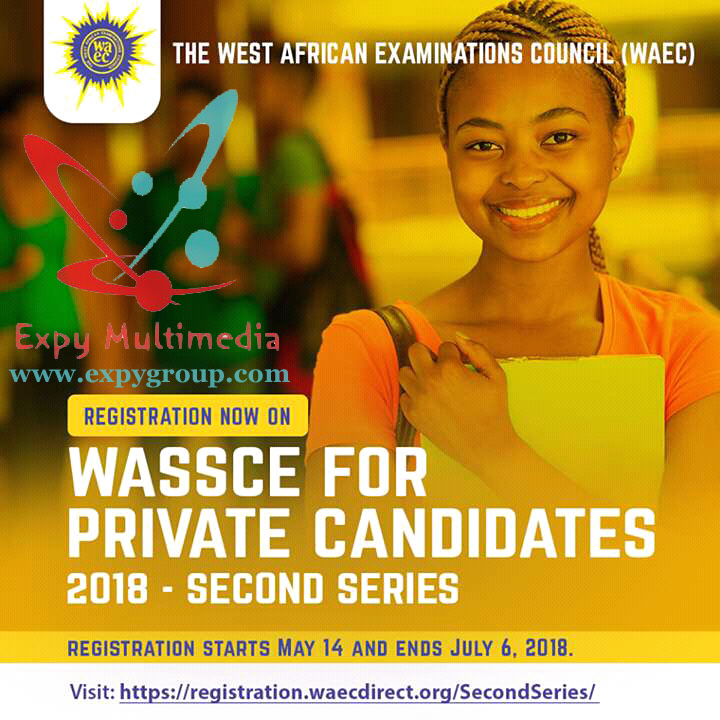 According to Ojijeogu, registration starts May 14 and ends July 6, 2018. He said, “After obtaining the registration pin, candidates should log on to www.waeconline.org. The statement added that special needs’ candidates will also register online but “they must state clearly their disabilities: blind, low vision, spastic, speech etc. Candidates are expected to pay a registration fee of N13,950 and a commission of N500 to banks and accredited agents.